SRM equipment rental management software from Texada is robust software for any equipment rental business. 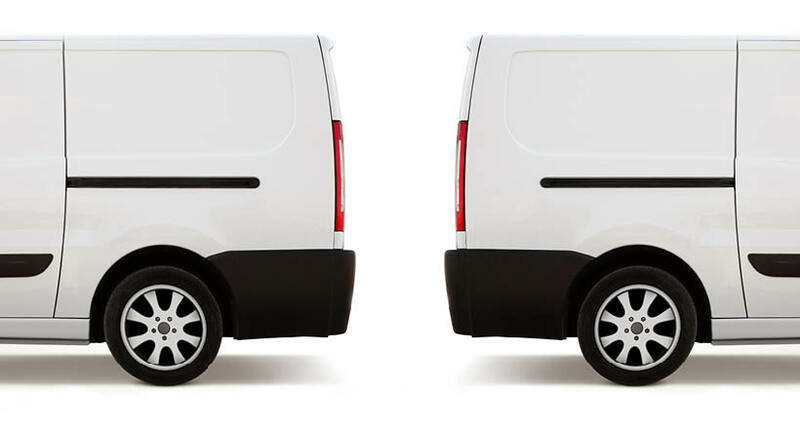 SRM covers fleets from acquisition to rental to maintenance through to disposal. All the accounting tools a rental store needs are included. Detailed reporting features will give actionable insights to empower better decision making. With SRM, rental stores know the true cost and revenue of each asset over time and are able to identify top-performing asset categories, knowing when to acquire or dispose of fleet to maximize profitability. SRM can enhance rental businesses with 20 assets and one location all the way up tens of thousands of assets and hundreds of locations. Since SRM is in the cloud, managers can run the business from any computer without needing to worry about complicated server infrastructure. Flex Rental Solutions provides customizable, web-based rental management software. Its award-winning Flex software works with all common operating systems and browsers; only a Flash plug-in is needed. Built for real-world warehouse and inventory needs, a dedicated interface is provided for warehouse processes supporting real-time scanning with voice prompts. Flex offers powerful tools for modeling inventory the way rental stores use it: virtual items, racks, kits and road cases. The equipment dashboard shows where gear is in the present and availability calculations are integrated with backorders and sub-rentals. Multiple users can work from the same pull sheet. Flex works with fixed equipment racks and racks that change from job to job. Free pick container logic makes it easy to prepare cable packages and work boxes. The Flex Free-Scan-In feature speeds returns by enabling gear from multiple jobs to be scanned in simultaneously. the crew management module includes search functionality and scheduling of crew members for the crew call, crew email communications and the ability to view each crew member’s full schedule. QuickBooks integration is available in the financial management module to leverage resources. Flex drag-and-drop technology enables efficient quote building. Users can have unique, customizable permissions in the administration module. Flex integrates with Google Calendar and Facebook events. Statuses, workflows, and jobs are all configurable to support company-specific processes and terminology. Monthly subscription pricing for one warehouse and unlimited users starts a low monthly fee, and Flex offers a 60-day free trial. Point of Rental’s Mobile WorkForce app has been upgraded, adding tablet optimization to go with its award-winning mobile system features. In August, Rental Expert added a bevy of new features, like an improved contract fulfillment tab enabling blind- and double-blind scanning, quick sales of missing goods and enhanced RFID tracking integrations. There are also new dashboards, which make it easier for business owners to access information about any aspect of their business when making critical decisions about the future of their company. With all of that back-end functionality being added, it simply wouldn’t do to keep the same front-end interface. Mobile WorkForce needed a better-looking, swifter, enhanced interface to help users access all the product’s features. Now, thanks to the tireless work of a team of developers, Rental Expert users can more easily point, tap, and drag their way through their rental transactions no matter where they are – capturing signatures, adding notes to contracts or reservations, capturing item photos, or anything else that used to require paperwork and numerous phone calls. 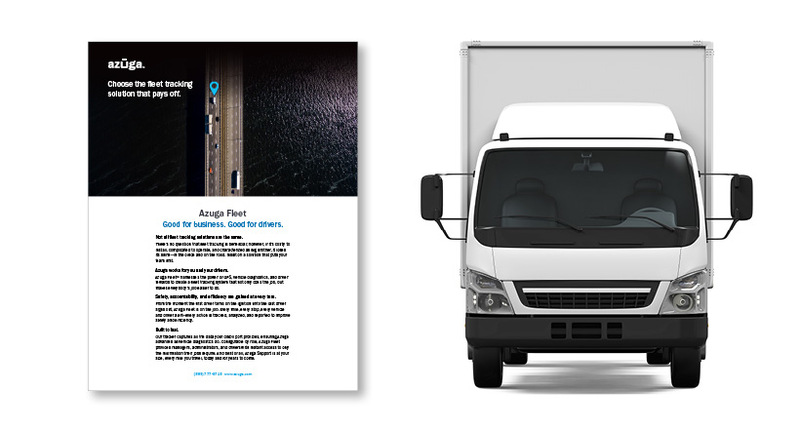 Silicon Valley-based Azuga Fleet provides award-winning connected vehicle technology that keeps drivers safe, smart and efficient at an unprecedented price. Azuga Fleet’s suite of products is designed to work in any vehicle, from passenger cars to heavy trucks for fleets of all sizes. Its plug-and-play GPS device installs in seconds and captures everything from driver behavior (speeding, idling, hard cornering) to fuel usage and vehicle health. The safety features, including Azuga DriveSafe and Azuga SpeedSafe, encourage driver safety by preventing distracted driving and speeding through real-time alerts sent to both the driver and fleet manager. The secret to the company’s award-winning success, however, is the Azuga Fleet Mobile app: an interactive mobile experience that integrates “gamification” and real-time data to encourage self-coaching and healthy competition among fleet drivers. By engaging drivers through gaming, rewards and social competition, and being transparent about driver scores, the app leads directly to safer driving and a stronger company culture, which has been proven to successfully decrease employee turnover. 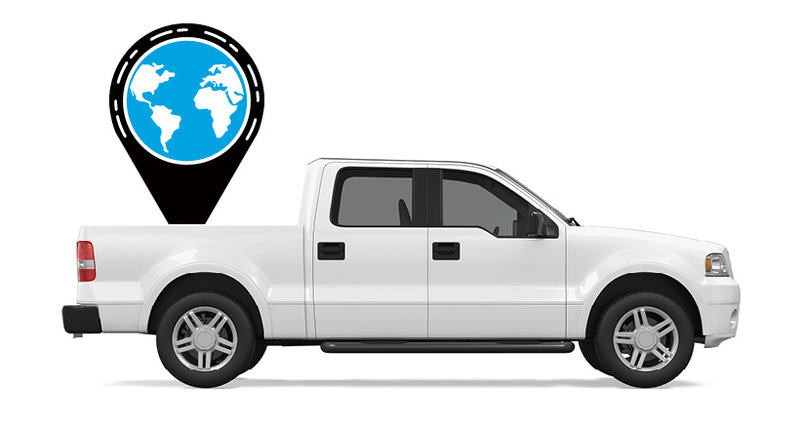 With more than 1.7 million devices currently in use, Azuga Fleet’s solution captures vehicle data up to 10 times more frequently than other fleet tracking solutions. Using this data, fleets can save up to 15 per cent just for having Azuga Fleet on board and can drive down accidents by up to 70 per cent. Backed by Detroit-based Danlaw Inc., the company is ultimately committed to providing innovative, intuitive and data-rich solutions that ensure the drivers and the communities where they live and work are safe. Alert EasyPro has been a leader in the rental software industry for over 40 years and offers up-to-the minute rental technology focused on your profitability. From basic features such as ticket-writing and inventory tracking to more customizable features such as GPS fleet integration, Alert EasyPro is scalable from the smallest rental counter to sophisticated multi-location rental operations. Although not an exhaustive list, some of Alert’s features include easy-to-navigate dashboards, drag-and-drop functionality, online customer portals and website integration, accounting package integration, a web-based rental contract management and signing system, and powerful reporting capabilities with more than 500 canned reports in the system, along with report writing tools that allow stores to modify those and create ones specific to the operation. Alert hosts a long-running multi-day user conference, providing a platform for Alert’s expansive customer base to offer real-time suggestions for enhancements that are value-driven and profit-focused. Highly-rated by its clients month after month, Alert’s personable support team is ready to train, help, and partner with rental stores to help them get the most out of their rental software investment. Demonstrations are available on-site or via web conference with a friendly application consultants. Alert will be at The Rental Show in Orlando in Booth 3929 and at the next Canadian Rental Mart. InTempo Software has announced multiple software enhancements to its two main rental technology products. InTempo Core is straightforward, easy-to-use software for single or multi-location businesses engaged in any type of rental, including specialty inventories. New enhancements to InTempo Core include expanded transaction processing capabilities and streamlined access to inventory and customer data. InTempo Enterprise ERP software features fully integrated accounting and is designed for general/tool and heavy equipment rental companies. Enhancements include a new, sleek user interface engineered to maximize productivity and create an improved rental experience for the end customer. InTempo’s rental solutions were named finalists across three categories in the International 2016 SaaS Awards: Best SaaS Product for Small Business, Best SaaS Product for ERP and Best Data-Driven SaaS Product. Xgensoft’s Rental Manager is a versatile Windows-based order entry and inventory management system designed for smaller rental businesses. The system handles all rentals and sales, inventory and orders. As well, it interfaces with Excel, Outlook, and QuickBooks. It is easy to use, feature rich, and provides the tools needed to expand a growing rental business. Rental Manager wraps all rental and customer information into clear reports and organizational tools. Cycle billing, group payments, a seamless export of invoices and payments to QuickBooks and extensive reporting provide the essential financial tools for daily fiscal management. The Favourite Reports screen provides quick access to key reports. User-friendly features include real-time inventory availability, an overbooking monitor, a schedule calendar, email and bar code scan-in (including QR codes). Inventory management tools include kit organization features, sub-rental/purchase orders, equipment usage tracking and maintenance scheduling, truckload planning and a Rental Return screen that expedites the return of inventory rented by serial number. Canadian Payment Processing is in the works. This will provide Canadian customers with a payment card processing system that handles a broad spectrum of payment options. Rental Manager can be configured as a single or networked system on Windows 7/8/10 Professional machines. Xgensoft Rental Manager is ideal for small to mid-size party, event, tent, tool, and equipment rental businesses. It improves control from inventory to money management, thus providing a great ROI.